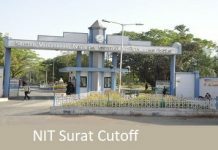 NIT Raipur Cutoff 2018: National Institute of Technology Raipur formerly known as College of Mining and Metallurgy was established in the year 1956. The institute celebrated its golden jubilee in the year 2005. Also, the Ministry of Humana Resource Development (MHRD) upgraded it to Government College of Engineering & Technology, Raipur. Then in the year 2005, the college was given the status of National Institute of Technology. NIT Raipur offers 12 undergraduate programs with an intake of 955 and 10 Postgraduate with an intake of 255 per year. The institute is one of the biggest NIT in terms of yearly intake. The institute grants admission to applicants only if they satisfy the NIT Raipur Cutoff which is generally prescribed by the concerned authorities. The total strength of candidates is more than 3500 in the campus. National Institute of Technology Raipur has experienced faculty members and supporting staff. Near around 90% of aspirants are placed every year in reputed organizations through direct campus placements. The candidate must have appeared in JEE Main examination and scored a valid rank in the exam. Interested candidates must have obtained 75% in class 12th exams. The candidates must be among top 20 percentile holders in class 12th board exams. The institute offers admission in M.Tech program to candidates who have appeared in GATE. NOTE – NIT Raipur also provides admission on the basis of a scheme of Direct Admission of Students Abroad (DASA). Applicants who wish to take admission in the Institute can take a glance over the NIT Raipur Cutoff 2018. This cutoff is made available on the official website of NIT Raipur. Through the last year cutoff candidates can estimate their chances of admission and also this cutoff provides an idea about the NIT Raipur Cutoff 2019. 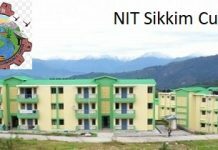 The tables below contain the NIT Raipur Cutoff 2018 for different category of applicants. In the tables, HS stands for Home State Quota and OS stands for Other State Quota. 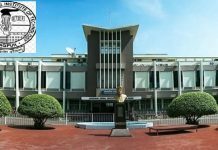 The opening rank and closing ranks of Metallurgical Engineering for Gender Neutral were 47316 and 105363 respectively. The opening rank and closing ranks of Metallurgical Engineering for Females were 51607 and 105925 respectively. NOTE – The opening and closing ranks varies according to each of the branch. The opening and closing ranks of Civil Engineering for Gender Neutral were 1743 and 3209 respectively while for Females there were no such ranks. And the opening and closing ranks of Bio Medical Engineering for Gender Neutral were 2060 and 4174 respectively whereas for Females these ranks were 4289 and 5318 respectively.